We have loaded two versions of soybean genome. You now can compare individual chromosome pairs to see how genomic regions were rearranged during transition to the new version. 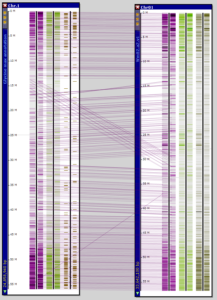 Also, if you call Tools/Synteny matrix, you can see soybean genome duplication in a form of multiple dot plots. 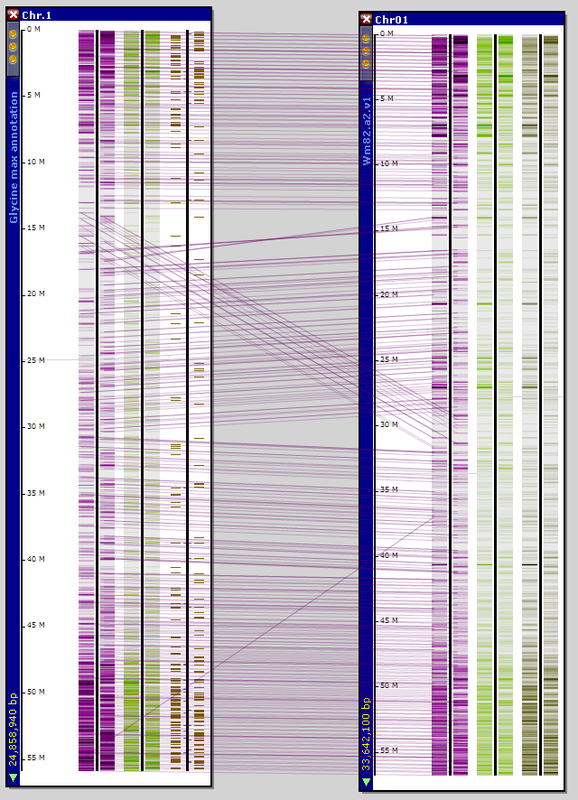 Just compare Wm81.a2.v1 to itself – select the same genome for both axes. Comparison of two versions of soybean chromosome 1.